as picking the right Maui home. It is mind blowing how many people go about finding someone to help them with real estate. Why is it that many people just pick the first real estate agent they can find to assist them in probably one of their largest financial decisions of their lives? If you went to your regular doctor and recent tests revealed a potentially life threatening situation with your heart valves. Would you rely on your physician or family/friend references, or would you just head down to the local hospital and find a doctor hanging out at the hospital information booth? Sounds kind of nuts, right? Well this stuff happens several times a day in residential real estate. Not just in Hawaii, across the United States too. Of course you may stumble on an experienced real estate agent on “floor duty” or at an open house, but the odds are totally against you as experienced agents have a calendar and plan to succeed. Not just for themselves, but for their clients too. This means getting their buyers pre-qualified in advance so they know exactly what they can afford. For those of you that weren’t aware that large brokerage offices offer up floor time so the office looks busy. How floor duty works is an agent signs up for a period of time, for example four hours. This agent is on duty for anyone who happens to look at the flyer in the window, walk in or perhaps a phone call off of a road sign. Successful agents, ones that have invested in their education and marketing do not spend time doing floor duty. They are either furthering their education by taking a new Certified Residential Specialist “CRS “ class or out in their community or helping clients. These super agents are in high demand because they are known for their results and knowledge of the inventory. They have a get it done attitude and do not rest till their clients are happy. Today a professional Realtor must have a fabulous website with all of the mls listings, video content, and social media marketing. Today’s smart agents know how to use technology to market themselves and their services. 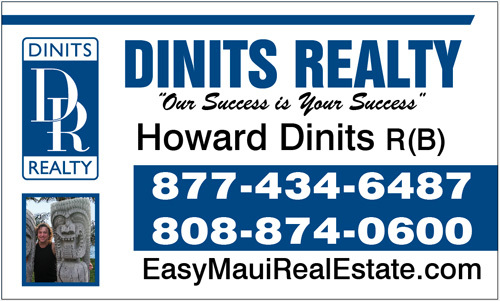 Your Realtor of Choice Howard Dinits is on top of his game and is always improving his many websites by listening to his client’s suggestions and their needs and adding a Maui Condo guide and other requested content. So whom are you going to find sitting at a Maui Real Estate office? Most likely you’re going to find a brand new agent, one down on their luck, or an agent that hasn’t built a referral business from their hundreds of happy clients. It is even possible that you will find a person trying to break into the real estate business and your $1,000,000.00 home purchase is their first transaction. Now I am sincerely hoping that you’re not going to search for that physician hanging out in the Hospital cafeteria, information booth or waiting room. So I must ask you. Why would you pick your real estate guide for an important financial decision simply because they are the first one you stumbled on? Or another mistake that could cost you thousands of dollars would be to pick a real estate agent at an open house, who has a fiduciary duty to that seller, to get the highest price and best terms for them. You’ll want to pick your own Certified Residential Specialist that has fiduciary responsibility only to you. An ABR like Howard Dinits has special training so that he knows how to represent a buyer’s needs. 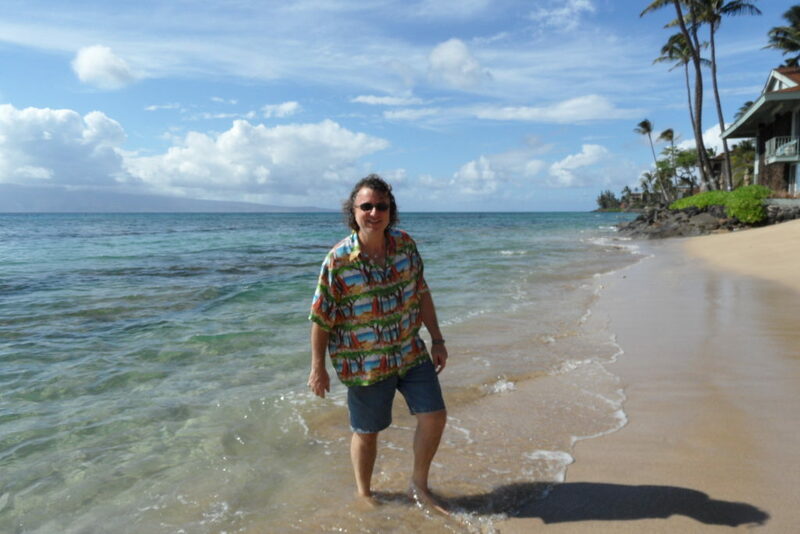 Howard has helped over 100 families move to Hawaii and Maui. Not all real estate agents are the same. When you pin your real estate success on luck, or chance, you are most likely to have a really bad experience. Each of us has a personal calling that’s as unique as a fingerprint and that the best way to succeed is to discover what you Love and then offer it in the form of service. I Love what I do. Please let me know if you hear of someone Buying or Selling Real Estate in Hawaii. Check out a recent article on Realtor.com and some of my recent client testimonials. Does the agent have an active real estate license in good standing? To find this information, you can check with your state’s governing agency. « Can you turn your house into a vacation rental?